Biologists do not only observe and describe life on Earth. They also try to compare the known form of life and to put them in a consequent order. To that end a system is needed, in which all forms of life known to science are arranged according to the degree of their relationship to each other. This field of biology occupied with the development of such a system, is called systematics. On one hand each group of related organisms must be arranged in a hierarchy: It is placed as part of a larger group and divided into smaller groups, each of which still show the basic characters of the respective mother group, but also special ones unique to themselves. This systematic arrangement of different grade groups is called classification. With the knowledge of classification, each known group must receive a systematically correct name, which describes its status inside the system. This scientific naming is called nomenclature. The smallest known group of relatives consists of those individuals capable of interbreeding and generating fertile offspring. Such a group is called a species. Several species very similar to each other, but not able to interbreed, are combined to form a genus. All genera and species descended from a common ancestor, and thus noticeably different from other related groups, are combined to form a family, several families make an order and several orders a class. The classes related to each other, which share a common construction model, are combined to form a phylum. There are only few phyla, which are the great groups of the animal and plant kingdoms. This type of classification is already several hundred years old and can hardly cope with the noticeably increase in discovered species since then. For that reason the systematic groups were split further into subfamilies, superorders and so on. With the modern phylogenetic systematics (or cladistics) coming up, those obsolete systematic terms were not used any longer. Instead they are generally, whatever their status, referred to as a taxon (or taxa in the plural). as the Roman snail: Helix pomatia Linnaeus 1758. Snails are a very good example to show the meaning and importance of a correct scientific nomenclature: Many snails in English do not have a trivial name. Banded snail as well means the group of banded snails, relatives to the Roman snail, as a snail whose shell wears a band pattern. The brown garden snail, which means one definite species, also could mean any brown snail in the garden. The problem gains complexity, when it is expanded internationally: In French a snail is simply un escargot. On the other hand, escargot of course means an edible snail. 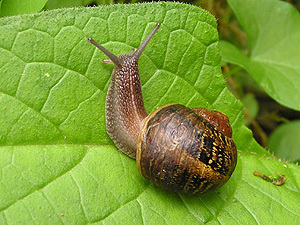 The Roman snail in French is called l'Escargot de Bourgogne, which could, of course, also mean "a snail from Burgundy". Two things so have been clarified: First: An appropriate system of names is necessary to show systematic connections and relationships. Second, this system of names must also bridge the language borders to make possible a scientific conversation even with little knowledge of the other's language. Only think about the differences not only between languages, but also between dialects and the names of animals that are not even known outside of the respective province! The problem became acute, when in the 18th century many nobles had cabinets of naturalia with animals, plants and minerals from all places of the world. Many of those cabinets, besides, were the foundation stones of today's museums of natural history. When working on such a collection, the Swedish naturalist Carl v. Linné at the end of the 18th century developed his system of nature. What today is esteemed so very special about his system of nature, he implemented a new way of naming life: Each species today receives a scientific name consisting of two terms. The second one, uncapitalised, describes the species. The first one, capitalized, denotes the genus – the group of species – as mentioned above. Both, and also all other systematic terms, come from Latin or Greek, though they are always latinised. The outcome is: The Roman snail, no matter what country it is from, is called Helix pomatia, as well as Helix lucorum, Helix cincta and other Helix species. Additionally to the scientific name in the complete version always is mentioned, which author first described the species and so had the right to find a name. So the Roman snail's complete scientific name is Helix pomatia Linnaeus 1758. In scientific publications usually the scientific names are written in italics, the authors' names in small capitals or capitals. 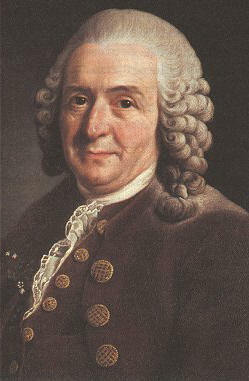 Since Linnaeus' times, biological research has, though, made many new discoveries. Many of those in the meantime are because of new technologies, such as molecular genetics. In any case, many of the old scientific names cannot be maintained today, because they are not up to the new discoveries. This is, for example, why the brown garden snail, often called by its obsolete name Helix aspersa, is not called that way any more by scientists, following the systematic conclusions. The species today is counted among another genus and thus its right name thus is Cornu aspersum (O.F. MüLLER 1774). Müller did describe the species for the first time in 1774. But, as the species is counted to another genus today, his name will only appear in brackets. See also: The Cornu Problem. Other snail species, that are widely related to the Roman snail and other Helix species, in common usage also are referred to as Helix snails, mainly because they are also members of the Helicidae family. But there are several snail species that are also edible and also referred to as escargots that are not Helix, such as Eobania vermiculata or Theba pisana. A group's scientific name is valid internationally, which is why it may not be given arbitrarily. Very well the author first to describe a group has the right to name it. But there are limits. The name must be beyond doubt, designing doubtlessly one definite group. So it may not appear several times. Also, a group may not carry several names. The first name published is the one valid. An international committee, the ICZN, decides on matters disputed.